It’s true, traditional granite countertops will never go out of style, but trending in the building and remodeling industries is a popular synthetic stone countertop that has everyone talking. Largely popular among Europeans, the quartz countertop only made its way into the kitchens and baths of many U.S. homeowners quite recently. Today, many agree that quartz deserves a place right up there with its natural stone counterparts, granite or marble. Unlike quartz’s stone relatives, this less-expensive man-made version is non-porous and resistant to stains from cooking oils, coffee and wine. Most quartz countertops are comprised of 93% pure quartz and incorporated with a mixture of resin, fillers, binders and pigment making them incredibly durable. Furthermore, quartz countertops do not require sealing. So the quality is good, but how does the look of quartz measure up to granite? One of the main reasons for their rise in popularity is due to the near unlimited selection of colors to choose from. Because quartz countertops are factory-made, fabricators can create an endless possibility of colors (and grains) for your kitchen or bathroom. Another reason quartz is such a popular option is because it’s easy to hide seams. The visual consistency of the quartz countertop makes it a clean and sleek addition to any new home or renovation project and its flexible properties make installation a bit easier than its contemporaries. Another sought out feature of the quartz countertop is that it’s nearly maintenance-free and resistant to bacteria. 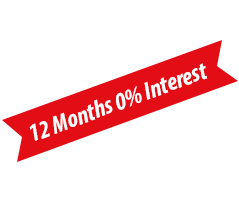 Due to its synthetic nature, there is no sealing process during fabrication thus no yearly maintenance is required. Simply clean with water, a soft cloth and mild detergent and voilà! As with any countertop, if not taken care of properly there is always a possibility of damage to the surface and edges. Be careful dropping heavy items on the countertop and never leave a hot pot or pan on the surface as it will burn. Try to keep sharp objects like knives and forks from scratching the surface. Always use a hot-pad or cutting board, and you can expect a lustrous appearance for years to come. 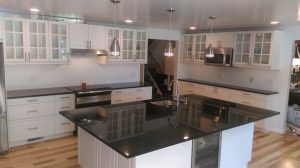 If you can’t part with the idea of having granite countertops, but the cost of granite is the hang-up, consider compromising by installing a granite island and choosing quartz for the rest. While most granite countertops average at about $3,000, some quartz countertops can range as low as $400 with installation. If you’re interested in quartz countertops for your home, let one our Lexmar experts show you our fine selection of LG Hausys’ Viatera® Quartz Surfaces or Silestone® quartz countertops.